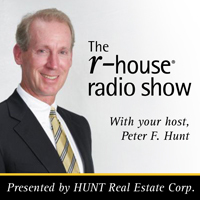 Your Host, Peter Hunt, welcomes Stephanie Crockatt & Maureen Hanagan to the show. Stephanie Crockatt is the Executive Director and Maureen Hanagan is the Director of Marketing & Communications at Buffalo Olmstead Parks Conservancy. Together, Peter leads the discussion on the development of Buffalo Olmstead Parks Conservancy and the first urban park within Buffalo.